24 Hours of Climate Reality: Gore-a-thon – Hour 13 | Watts Up With That? Note the phrase I highlighted: “Despite common perception”. I was very pleased to see that in context with a conclusion from real data. 2011 – March, notice of an Earthquake off the coast of Japan was blogged near real-time thanks to a USGS email message alert before TV news media picked up the story, followed by A Tsunami warning. 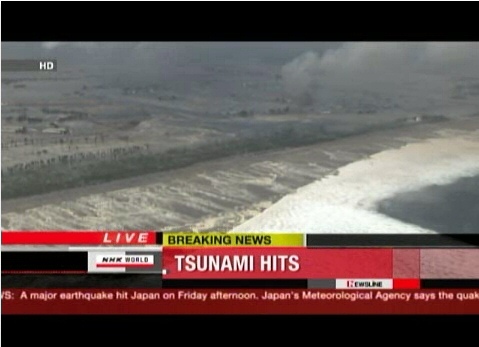 A Japanese TV news helicopter with live feed was dispatched and showed the Tsunami live as it approached the coast of Japan and hit the beaches. Carried by every major global news outlet lus live streamed on the Internet, it was the first time a Tsunami of this magnitude was seen live on global television before it impacted land. 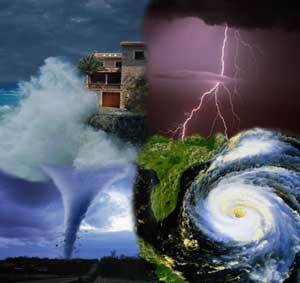 People’s ideas of frequency of extreme weather events are not scientific and that includes scientists’ ideas as well. The idea is formed through personal experience and exposure to local, state, national, and global news. There is no doubt that in the latter category the information revolution has vastly increased exposure to news outside one’s own locale. The nature of the news is to report the unusual not the mundane. You don’t see headlines like “In San Diego today it’s another boring day in paradise” but let there be a tornado in San Diego and the whole nation will hear about it. Plus it’s also a matter of idiosyncracies in human memory. For instance when and where I grew up winters were much harsher 40 or more years ago. People came to expect mild winters and recently now the winters are becoming harsher again. But few seem to remember this isn’t something new but rather it’s a repeat of the past. Where I live now the same thing is happening. The severe drought in Texas is a repeat of the 1950’s that may or may not be worse than that decade-long drought. One last factor on top of all these are damage reports. In times past there were far fewer people on this planet and they were spread out more. 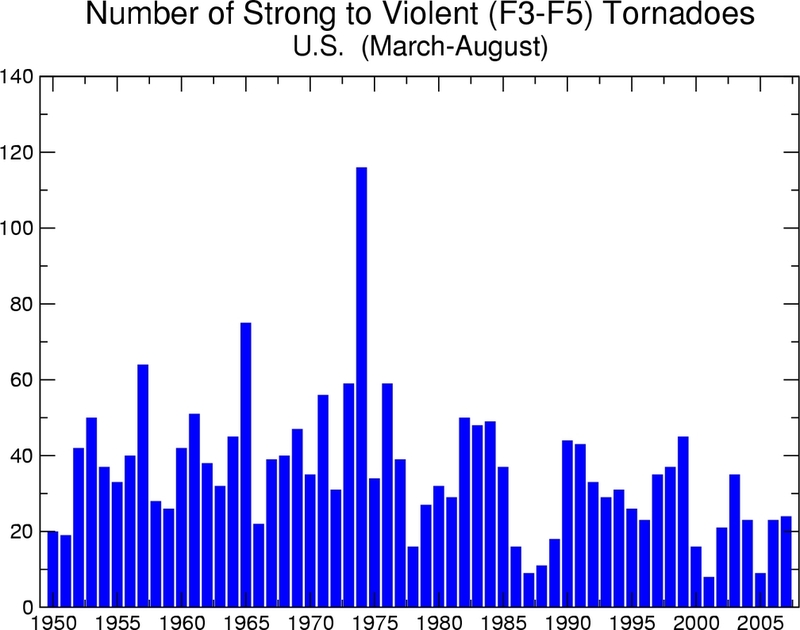 Severe weather, being regional, now has a much higher human population to plow through with commensurately higher toll in lives and property lost. It’s not that the weather is more extreme but rather there’s simply more people and property exposed to the extreme weather events. Not surprisingly there is no empirical (scientific) evidence that extreme weather events now are without precedent in frequency or severity. Every day is the CO2 Climate Doomsday Rapture. 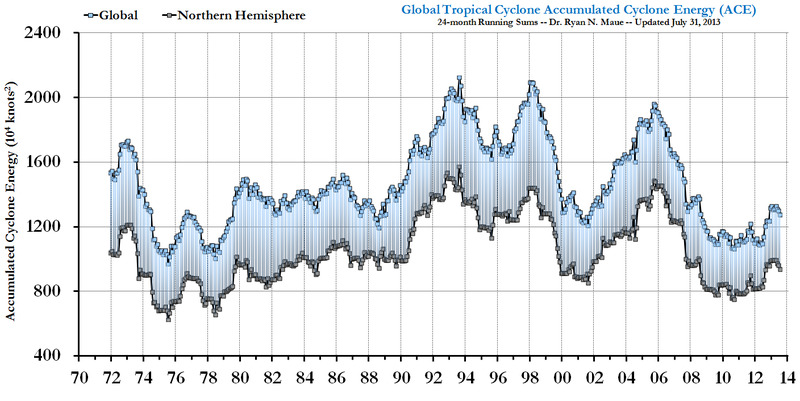 The CO2 Rapture Soothsayers have gone wild over next to nothing, 0.8c. I’ve personally lived in environments from Edmonton, Alberta, Canada with -40c to Costa Rica with +40c… that’s a range of 100 times more and have adapted just fine thank you very much… and while the cold can be refreshingly brisk I most certainly prefer the warmth… so please warm up Canada otherwise it’ll be time to move somewhere hot soon. We humans have such poor memories we cannot remember yesterday’s weather let alone that of several years ago. We need good reliable data to show that weather in the MWP was warmer than today. This “Gore-a-Thon” reminded me of an episode of Animaniacs (I love that cartoon). Specifically, a parody of Winnie the Pooh called “Brainey the Pooh”. Brainey the Pooh and Pinkley meet Al Gore the donkey and comment on all his hot air. Funny how that bit seems more apt than ever. Don’t bother me with reality–what I’m looking for is a good fantasy! Since the warmest periods of human history (Minoan, Roman, Medieval) are associated with the flourishing of humanity, it stands to reason that they would preclude increases in natural disasters, pestilence and famine. Moderator — “infinitum” on the title page rather than “ifinitum”. Hour 13: Al gets “juice” for breakfast. Woman; What’s the weather look like today, dear? 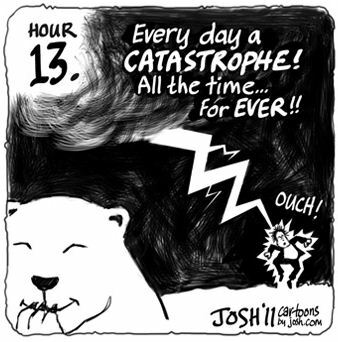 Man: Hoh-humm, just the usual catastrophe de jour. Woman: Oh good, I think I might wear my new platform-heel shoes! 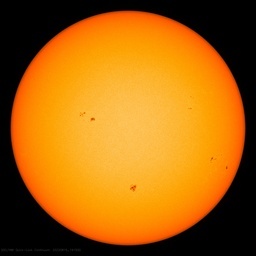 The point of increased communications leading to a perceptive increase in climate activity, with the supporting history of communications, would be hard to misinterpret or deny. Well done sir, and quite interesting and informative! On the other hand “Ring Around the Collar” has ceased to be a crisis in North America since Whisk has stopped those commercials. If you say something often enough it becomes reality. The MSM has a duty to it’s benefacters to create the reality of climate change by saying the words as often as possible. Reality can be manufactured Orwell had this correct. When I was a child in Australia, my father booked a telephone call back to our grandparents in England. The call was arranged for early evening, but due to load on the line, the call wasn’t available until several hours later when all us children were falling asleep. I think that is the only time we actually spoke live. I do have some tapes which were sent and took weeks to send/receive. That was the 1960s. Today, we can direct dial, email or just click on skype and and have a videocall in seconds at virtually no cost. It is quite literally easier to talk to someone in Australia than it is to speak to my MSP. In the 1960s, if something happened in some remote part of the world, it would take days to get someone there, it would take days to get the pictures out and so it had to be pretty important to make the news – and then only the papers. These days pictures of cute koalas stuck in a trees will be on the evening gogglebox news globally. Thanks again, Anthony and Josh. This counter-bore-a-thon blogging has turned into a most valuable resource, providing us with far more facts, links and arguments than Albore can ever dream of repudiating. I’m enjoying this as much as Theo in the cartoon above! Shortly after intercontinental telegraph cables were first installed, the Indonesian island of Krakatoa blew up in 1883. This became the first high-speed global reporting of a natural cataclysm in a society unaccustomed to news of this kind. People wondered if the world was ending. There has been speculation that Edvard Munch’s famous painting “The Scream” was a depiction of both the optical effect of red skies, and the anxiety, caused by the eruption.